Hey everyone! 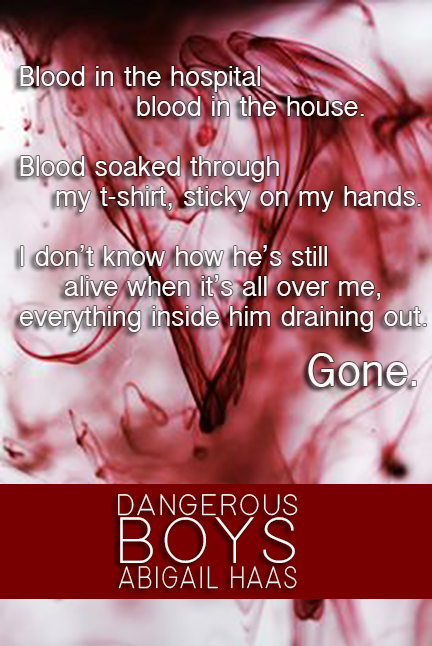 I’m so, so excited to share with you a teaser for Dangerous Boys by Abigail Haas, author of Dangerous Girls. Dangerous Boys is a stand-alone, eBook-only that will release on August 14, 2014 from Simon & Schuster UK, according to Haas’ announcement on her website. Three teens venture into an abandoned lake house one night. Hours later, only two emerge from the burning wreckage. Chloe drags one Reznick brother to safety, unconscious and bleeding. The other is left to burn, dead in the fire. But which brother survives? And is his death a tragic accident? Desperate self-defense? Or murder? Chloe is the only one with the answers. 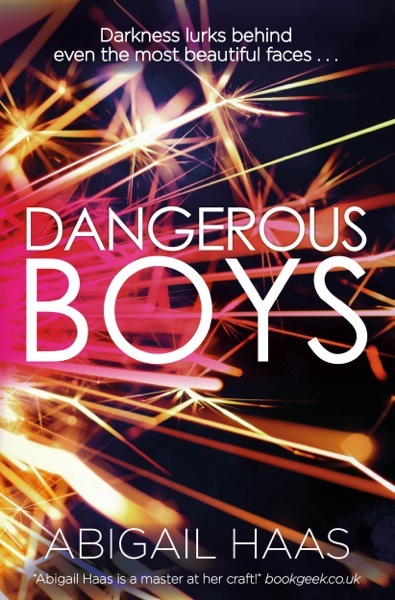 As the fire rages, and police and parents demand the truth, she struggles to piece the story together – a story of jealousy, twisted passion and the darkness that lurks behind even the most beautiful faces. And now here’s an awesome teaser! I don’t know about you, but I’ve got chills! I’m so excited for this book and I hope you are, too!! I haven’t read DG but I bought it so I could read it ASAP! DB looks sooo good!